This is a wonderfully indulgent porridge with the sweet creaminess of coconut and a lovely vanilla undertone. 1. Put all the ingredients in a pot set over a high heat and stir regularly. Bring to the boil, then turn down to a low to medium heat and stir regularly. It should take 15 to 25 minutes to cook. 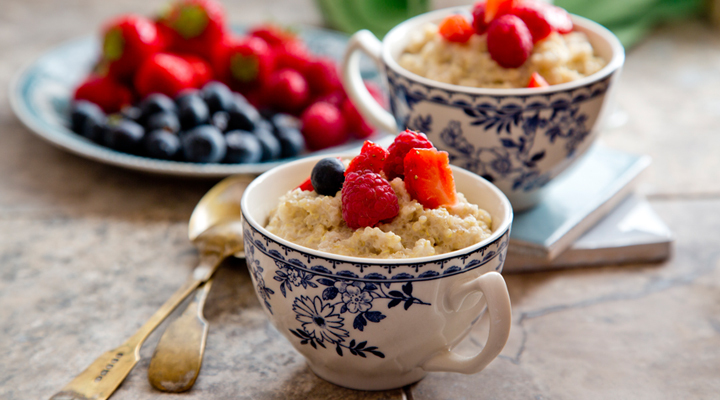 Make sure you leave a little bit of moisture in the quinoa so that the porridge stays creamy and doesn’t dry out. Tip: This is great served with fresh fruit or berries to break up the richness of the coconut and to add some extra juiciness.